At In Trim we believe that you should be in control of your membership so we do not require you to sign a contract or tie you in for a set period. 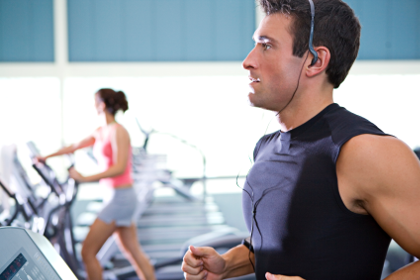 Fitness Gym - Allows you to focuses on all-round fitness with a range of cardio, fixed and free weight equipment. Heavy Duty - A well-equipped body building gym, perfect for you if you're serious about pumping iron. Class Studio - Offering a wide range of classes throughout the week. Something to suit everyone! We provide one-on-one Personal Training, which is ideal if you need extra support, especially you're getting in shape for a big event or recovering from injury. We offer a number of different ways to pay, including casual pay-per-visit, pay-per-week and per month. Get your first month's subscription half price with our no-hassle Direct Debit option, or you can pay in advance for your membership and make even bigger savings. If you've never joined a gym before, and you're not sure how to get started, we've got the perfect solution - our Kick Starter package. It gives you a month of full membership together with all the support you need from one of our instructors to turn you into a confident gym user in no time. To become a member all you need do is call in and see us. If you are an experienced gym user you may waive an induction and start training the very same day! If you would like to be shown how to use the equipment we will arrange an induction appointment at a time to suit you. If you want to speed the joining process up even more, you can sign up online, so we already have all your details when you arrive.